"Love the staff, very professional, not only that but the prices are reasonable." "The Wafelbakker staff is very friendly." "I highly recommend the team of Dr. Wafelbakker and Dr. Anderson." "Best ortho experience ever! I love my visits here." "We highly recommend this practice to anyone!" "Everyone is so friendly and efficent. I highly recommend!" "His staff has been wonderful and they are always so caring and welcoming." "This is the best orthodontic office in Walnut Creek!" "These two guys are absolutely top notch! No pain at all." "I am extremely pleased that I was fortunate enough to find Dr. Wafelbakker." 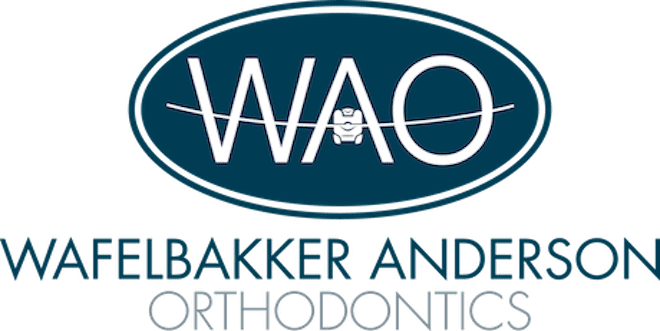 The team at Wafelbakker Anderson Orthodontics take a holistic approach to orthodontic care because they know that a proper bite and well-aligned jaws are connected to your overall health and well-being. When patients walk into one of their practices in Walnut Creek, Morgan Hill, Gilroy, and Hollister, California, they immediately feel the warm environment and appreciate the personal welcome. Patients quickly learn that it’s possible to be in an orthodontist’s office and have fun. Dr. Wafelbakker, Dr. Anderson, and the entire team are devoted to enjoying their time with patients and making everyone, especially their young patients, feel comfortable and happy to be there. Treatment at Wafelbakker Anderson Orthodontics is always delivered with a gentle touch. The office has the most advanced orthodontic tools, from digital mouth impressions and 3D computer modeling to innovative services that help patients avoid jaw surgery. The team specializes in orthodontics for children, but they treat many adults as well. Patients who need braces have multiple options, including the nearly invisible Invisalign® aligners for teens and adults, and SureSmile wires that align teeth and correct the bite in 30% less time with higher precision than traditional orthodontics. Dr. Wafelbakker and Dr. Anderson are honored to be a part of your health care team. They ensure your health by coordinating your orthodontic care with other medical professionals, such as sleep doctors, ENTs, osteopaths, and your dentist. Have you been told you may need jaw surgery? Is aligning your teeth too complex for some orthodontists? You may be a candidate for the Multiloop Edgewise Archwire (MEAW) technique. Come in for a consultation to see if MEAW is right for you. We are proud supporters of our community. As a local business, we have continuously supported our community, including our schools. To date, we’ve given more than $675,000 in donations, scholarships, and charitable gifts. "Dr. Anderson, and the staff have an overwhelming amount of experience and make an incredible team. The results are a great smile in a warm and friendly practice." "If I have any other issues with my braces, this will most certainly be the first place I call! I highly recommend their services." "Dr. Wafelbakker goes above and beyond. He really takes time out to talk to both the parents and the kids. Every time I go into this office I feel like family." "I'm so happy I found this orthodontist office. Dr. Wafelbakker is so patient and professional. With everyone here the whole process is truly worry free." "To the team and Dr. Wafelbakker: thank you for fixing my jaw and bite. Thank you for doing it so fast so I can leave for law school without braces." "I got to see Dr. Anderson who is just as excellent clinically and great to work with. The office is clean, very well managed, and efficient." "I have never experienced a more professional, courteous staff. I am so grateful that I found them. They are the absolute best in Contra Costa County." "I've been a patient of Dr. Wafelbackker's for six months or so, and I'm already thrilled with the results!" "I have just had my braces removed and I am thrilled with the outcome of treatment. My teeth look great! I really enjoyed working with Dr. Wafelbakker." "I went to see Dr. Wafelbakker as I grew up out of state and my orthodontist is in Florida. Both the doctor and staff were so kind."